New campus will leverage China’s R&D boom and its enormous talent. This week Australia’s Monash University and China’s Southeast University (SEU) will formally launch its new joint campus in the burgeoning Suzhou Industrial Park near Shanghai. Supported by Central and Provincial Governments and located in one of the major innovation precincts in the world today, the state-of-the art- facilities will house 1400 postgraduate students within five years. Monash and SEU – one of China’s leading engineering universities – will offer Masters and PhD degrees, with the ultimate aim of developing 3-4 key research centres which are approved at either provincial or national level. The Suzhou Industrial Park was created after Deng Xiaoping’s visit to Singapore. Inspired after seeing Singapore’s success in reforming its economy in the 1980s under Prime Minister Lee Kuan Yew, Deng Xiaoping invited Singapore to help create the modern industrial park in 1994. China now has majority ownership of the park. The precinct is about 280 square kilometers and 30 minutes by fast train to Shanghai. 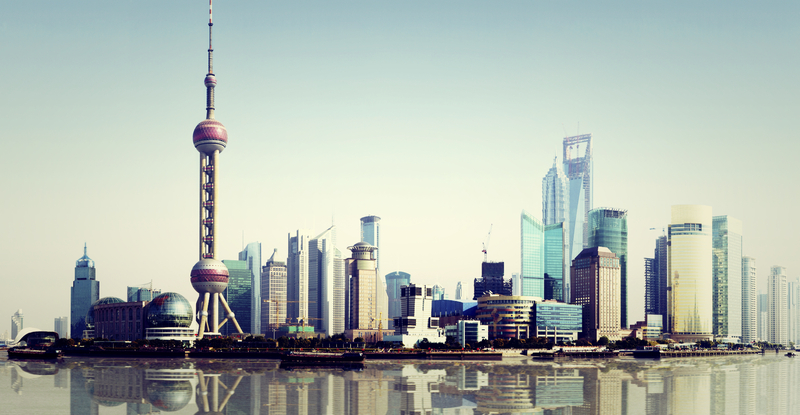 About 200 of the world’s top 500 companies now call Suzhou home. Leading Chinese and international research organisations such as the Chinese Academy of Sciences and US research institute Cold Spring Harbor Laboratory, leader in molecular biology and genetics, have also established a presence. The south-east region is also one of the areas targeted by the Chinese government for increased education funding under its Project 985, with ambitious plans to create world-class universities. Monash University’s President, Professor Ed Byrne likens the atmosphere of the precinct to the innovative spirit that fuelled the high-tech revolution in California’s Silicon Valley 25 years ago. Professor Byrne says having access to the talent pool in China will bring many advantages for Australia, including the exchange of highly qualified graduates. This is already a strong trend, with CSIRO recruiting high-profile research scientists from China and other Asian countries. “We will see high-profile researchers coming here more and more from Asia, particularly in the hard sciences and medical science. Most Chinese people want to work in China though, because it is one of the most exciting countries for research in the world. We will be offering joint projects where researchers can work in both countries,” Professor Byrne says. The SEU−Monash University Joint Graduate School (Suzhou) has officially welcomed its first intake of 45 students. The new 11-storey building that will house both the graduate school and research institute is now complete. The university will accept 350 master’s students and 150 PhD candidates each year, building to a capacity of more than 1400 students by 2017. The graduate school will feature postgraduate courses in a range of disciplines, including nanotechnology, biomedicine, environmental science, transportation, industrial design, economics, and software, thermal and mechanical engineering. Students will graduate with degrees from both SEU and Monash. Australia’s higher education sector has a very significant role to play in building effective relationships between Australia and Asia. There are obvious links between the delivery of international education and the development of soft diplomacy – as evidenced by the Colombo Plan scholarships, which built invaluable networks and enriched the understanding between nations with our region. Traditionally, Australian universities have focused most of their research interactions with established partners in Europe, specifically the United Kingdom and North America. While these partnerships continue to be important, they are being exceeded by newer partnerships predominately in Asia. Countries such as China, India, Japan, Singapore and Korea for instance understand that non-linear growth can only be achieved through technology and science. To back their strategy, they are investing substantially into research and taking steps to build scientific and economic linkages with other governments and global businesses. The Chinese university and research system in particular is exponentially increasing in quality – with China now among the top handful of countries in the world in terms of its research output. Similarly, India is also on track to achieve like standing.